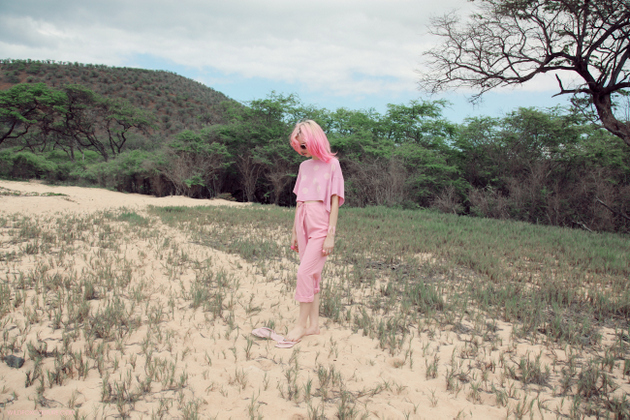 Charlotte Free is the perfect model for the new Wildfox summer lookbook! With a dream team and shot in a dream location (Hawaii), these shots are like heaven. I don't know did I love that styling or did i hate it... But great photos! Love the candy color styling, very nostalgic. And Charlotte Free has such an amazing body , -jealous - . amazing. she really is perfect for this. Picture Perfection!! I love all of them,.. The subtleness and quirkyness of them make it a fantastic shoot!! Great to stare at! OMG! 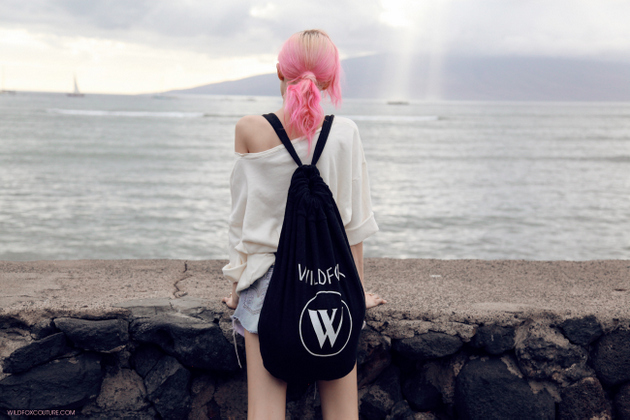 Charlotte Free X Wildfox ... that is so rad and fun! The pink hair is so immortal. Charlotte can look really sensual here. fun hair style, brilliant looks! third time I have seen this editorial today! Love! i definitely need the outfit with the rainbow shirt+blue shorts and the "i'm secretly a mermaid dress"
I love her hair. Not overly keen on some of the pictures but she's too pretty to care. Wouldn't mind being on a beach in the sun right now. Love how her all pink looks make everything around her look pink-er. Cheesy and fun campaign, a tiny bit emo reminiscent but I like it. LOVE the 2nd to last photo. amazing. i'm loving all the pink!